On Sunday the 26th of July, the Welly-moot was held at the home of myself & Alex. I didn't mention this at the moot, but it was our 30th Tolkien get-together! Rather than a "proper" Tolkien-related theme, it was more of a purely social gathering this time, for existing members to get together and enjoy spending a very pleasant afternoon in each other's company. We all had an opportunity to meet with some of the regular members' less regular partners, which was really nice. I also had a chance to show off some of the more precious things in my collection, which seemed to be enjoyed by the group. No real news to report this month. I'm still in talks with the relevant people about our special upcoming event (! ), and I'm hoping to finally be able to go public on that soon. Keep watching this space! 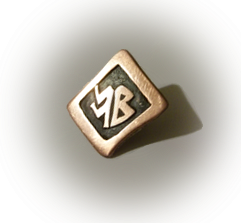 One item - you may have noticed that the official Welly-moot pins, designed by our own member Annabel, are no longer available in Silver, just in the Bronze. If you don't have yours yet, order one soon! They look fantastic. To place an order, just click the "Add to Cart" button on the right hand side of the Welly-moot.com site. For the people who had contacted me wanting to join this meeting but where not yet members - the next Welly-moot will be held as a normal meeting, with new members accepted again. Details are on our Calendar page. I think the last meeting of this year, in November, will be a special one - it will mark the 5th anniversary of the existence of the group. Might have to have some prizedraws for that one! Also: I'm taking suggestions for our September Welly-moot theme! Email/facebook message me!